A New Jersey cop is being charged for stealing drugs from crime scenes and selling them while wearing a police uniform. However, this is just one charge of two; the second is shocking to many. 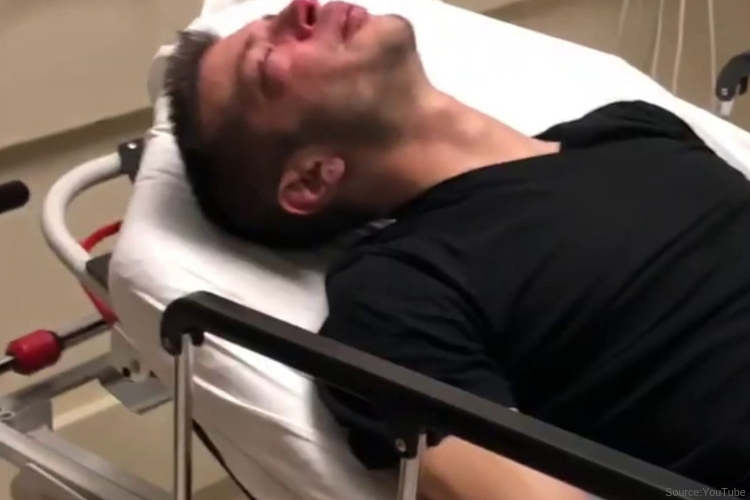 Videos were released in a New Jersey courtroom early this week showing appalling evidence of a suicidal hospital patient being beaten by a local authority. Ruben McAusland, 27, a former policeman in Paterson, N.J., is facing five years behind bars after violently beating a suicidal patient while he awaited treatment last year and trying to cover up the incident. Last week, two videos were shown during court that showed the brutal attack. One of the videos was pulled from his partners own cell phone while McAusland struck the young patient twice across the face. McAusland pleaded guilty to multiple charges last year. As for his partner, Roger pleaded guilty in December and will be sentenced the second week of April. According to court records, the two officers waited with the victim in the waiting room of St. Joseph’s Medical Center in Paterson on March 5, 2018. U.S. Attorney’s Office in New Jersey said the two had been called to the victim’s house earlier after a report of attempted suicide but were told the man was already at the hospital. The video surveillance provided by the hospital shows McAusland shoving the victim and punching him in the face while the young man sat in a wheelchair and several hospital employees observed. His partner is seen grabbing the patient by the neck and forcing him into the ground. A few hours later, a recorded cell phone video of the two cops and the young man showed a dialogue of insults inside the patient’s room. McAusland reacted by putting on a pair of hospital gloves and began hitting the patient in the face so hard that blood splattered onto the bed. Both later filed a false police report about the incident, omitting their attacks on the victim. Prosecutors note that the victim had suffered various face injuries, including an eye injuring that required surgery to repair. In addition to the attack, McAusland also sold a large number of drugs to a cooperating witness between October 2017 and April 2018. He sold a mixture of heroin, cocaine, crack cocaine and marijuana, authorities said. According to the U.S. Attorney’s Office, He also admitted stealing those drugs from a crime scene while on duty and in uniform. “Through prosecutions like this one, police officers like McAusland — who dealt drugs, stole from a crime scene, and viciously attacked a person who sought help from the Paterson Police Department — are removed from positions where they can violate the public trust and deprive others of their civil rights under color of law,” U.S. Attorney Craig Carpenito announced in a statement. Not only will he face 66 months in prison, but McAusland has also been sentenced to three years of supervised release and is ordered to pay almost $33,000 in restitution fines.